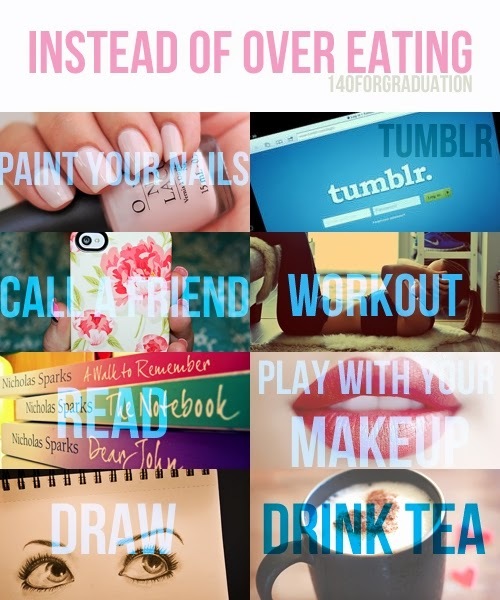 I do at times, and that tends to be when I sabotage a whole day of healthy eating. Turns out I am not alone. 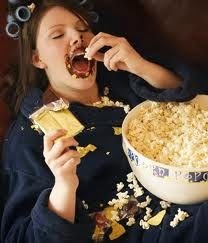 Enough people see and feel the effects of late-night snacking to inspire researchers to study it scientifically. In a controlled lab experiment (no escaping, participants!) in Pennsylvania in the U.S., people whose sleep was restricted to just 4 hours per night for five straight nights gained over 2 pounds (0.97 kg), whereas "control" participants, who were allowed to sleep a full night each night, gained just 1/4 lb. (0.11 kg). The participants all stayed in a lab, all had access to many types of food when not in sleep time, and were allowed to watch TV but not to exercise during the study. 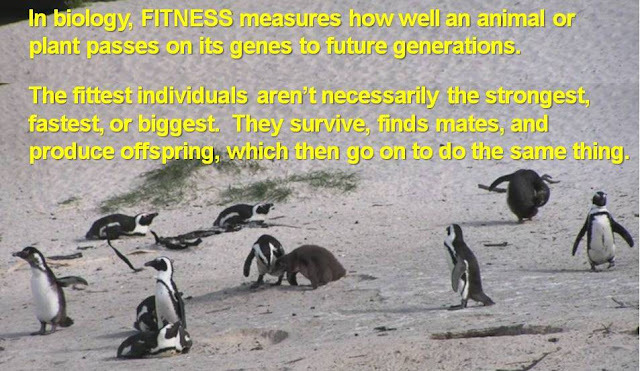 Whether the lack of exercise caused even the control (sleeping) group to gain weight, I don't know, but guess what? Staying up late leads to late-night snacking, which leads to...no, not tight abs and toned legs, that other thing -- weight gain! It was not the hour of eating that caused weight gain, but the fact that people tended to snack on high-fat, less-healthy foods late at night. 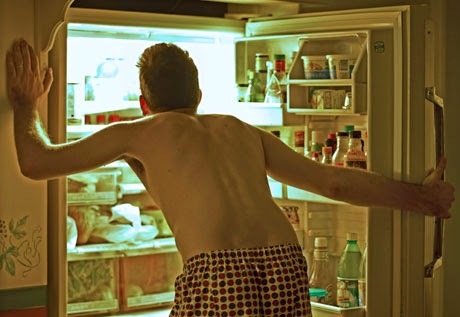 The participants who stayed up late in this study ate 500 more calories per day than those in the control group: in other words, late-night snacking will require you to run nearly another hour the next day to burn off the extra calories. 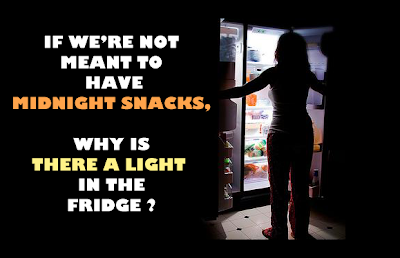 Why would people eat more later at night? A study in Sweden on the effect of sleep deprivation on hunger found that participants' estimates on a computer of an ideal portion size was larger when they had not slept than when they'd slept for 8 hours. The men's levels of both hunger and ghrelin, a hormone that stimulates hunger, were also higher in the morning after they had not slept. In other words, people feel hungrier and want to eat more when they haven't slept. Is this, as the researchers suggest, because people eat more to compensate for the extra physical activity involved with being awake all night? A 2-week study, in Colorado in the U.S. found that participants in a lab-controlled study that slept 5 hours per night did, in fact, burn 5% more energy than those that slept 9 hours per night. However, they also consumed 6% more calories, so no weight loss there! The sleep-deprived participants gained more weight than those who slept longer, and they consumed more calories in after-dinner snacks than at any meal. Snack attack again! Yet another study (published in the journal Obesity, which I did not know existed - did you?) 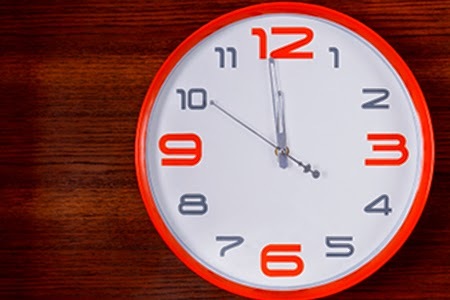 determined that we can blame our body's internal clock for increasing our hunger and cravings for sweet, salty and starchy foods in the evenings, before the fast that typically accompanies a good night's sleep. These study participants were, illogically, hungrier at night than in the morning, even after a whole night without food. The researchers suggested that perhaps the decline in hunger in the early morning hours might be an evolutionary adaptation that helped people stay asleep all night by countering the natural increase in hunger that would occur as time passed since their last meal. 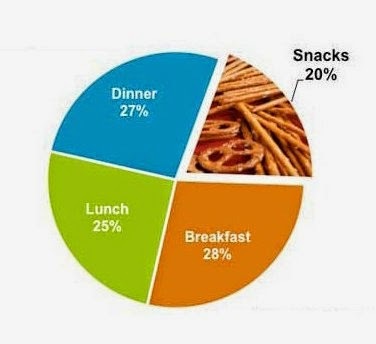 In addition, the lack of sleep may increase the sensitivity of the brain's reward system to high-calorie foods -- even after eating breakfast, the Obesity study participants chose larger portions of snack foods as proper portions on the morning following a night of no sleep. So to sum up, the research all points to the after-dinner snacking, not the lack of sleep per se, as the cause of the link between late nights and weight gain. In fact, people who go to bed late and get up late tend to eat more fast food and weigh more than those who go to sleep and wake up earlier. Ironically, I'm writing this while consuming too much high-fat food on airplanes traveling from Washington, DC to Bangkok, Thailand - I'm at that kind of sleepy that comes from being stuck for 20 hours or so in cramped spaces, with my seat belt fastened, and that mini cheese pizza with the thick crust offered by the flight attendants, followed by cookies and a diet Coke to try to stay awake, seemed like such a good idea at the time. So if your evening routine includes staying up late, you'll want to be extra careful if you're not ready to put on extra pounds. For example, keep your snacks small and lower in fat if you can (banana, yogurt, warm milk, decaf tea, or try these from Snack-Girl) or try some non-food activities. Both of these sometimes work for me, but sometimes not - do you have any good suggestions for staying fit while staying up late? Suggestions welcome.